In some corners of the campus of Arcadia University in suburban Philadelphia, Pennsylvania, USA, the conversation is all about Belize. That’s because a group of academic students have “adopted” San Pedro and are currently using their substantial resources to design ways they hope to improve life on the island. Lara Goldman, island resident and owner of Romantic Travel Belize, 12 Belize and an alumni of Arcadia, reached out to her Alma Mater in hopes of drawing attention to Belize. Arcadia has never had a ‘host-a-country’ approach, and Goldman thinks Ambergris Caye is the perfect place to start. “Arcadia is the number one school for international studies, and they bring to the table a tremendous amount of experience. They are ready to come in with cultural sensitivity and understanding. Now we are looking to set up long-term, sustainable and impactful educational opportunities for San Pedranos and people living in San Pedro,” said Goldman. An advance group from Arcadia, consisting of six faculty members from the College of Health Sciences, School of Education, as well as the Dean of the School of Global Business, visited the island in February 2016. Their observations, experiences, along with Goldman’s idea, are now generating Belize-friendly discussions among students and faculty in the areas of business, health care and education. Arcadia is looking to assist special education programs at local schools and show families how they can cope with and nurture children with special needs. 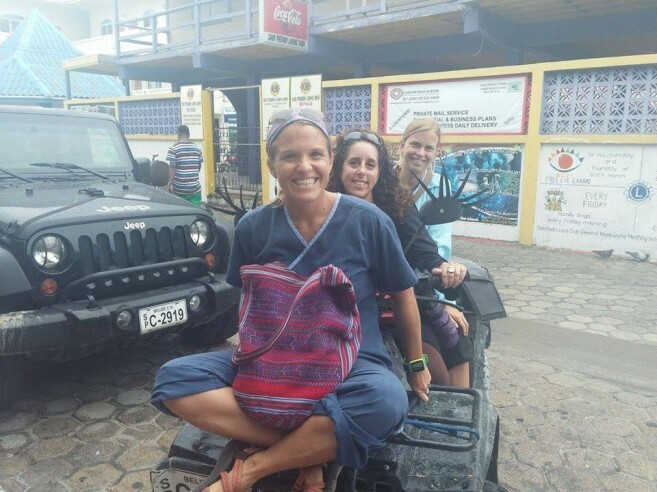 The School of Education’s Adjunct Professor, Kathy Trainor, was fascinated to see that Belize experiences the same challenges as Philadelphia. She describes her experience in Belize as, “a whole new world, but the same world” indicating that special needs issues are universal. In order to promote acceptance, she challenges the community to see past visible disabilities and learning impairments. From August 6 – 20 two Arcadia students, along with Trainor, will travel to Belize to work with parents and teachers who have students with special needs. Their goal is to raise awareness, advocacy, and educate the community on methods to make life comfortable for these individuals within the classroom and in their daily life. Arcadia is looking to train community leaders in the areas of leadership, budgeting, and marketing. The Dean of the School of Global Business and faculty hope to hold seminars and workshops that will educate individuals on budgeting. The main focus of the seminars will be on both personal budgeting (meeting the financial needs for a family, evaluating income and expenses), and budgeting for businesses (understanding how much it costs to run a business, learning how to increase income, etc.). Arcadia would like to emphasize the importance of a budget since it ensures a person has sufficient means for their necessities. Planning a budget also helps prioritize spending and manage finances. Keeping track of a budget can help identify unnecessary expenses, adjust your financial situation, and help to achieve overall financial success. The medical school of Arcadia has a program called “Physicians’ Assistants”, where people support doctors and fill in for them in regions that have insufficient medical doctors. Working under supervision, Master-level assistants will be participating in an internship program for permanent clinical rotations at Dr. Otto’s Rodriguez San Pedro Polyclinic II. 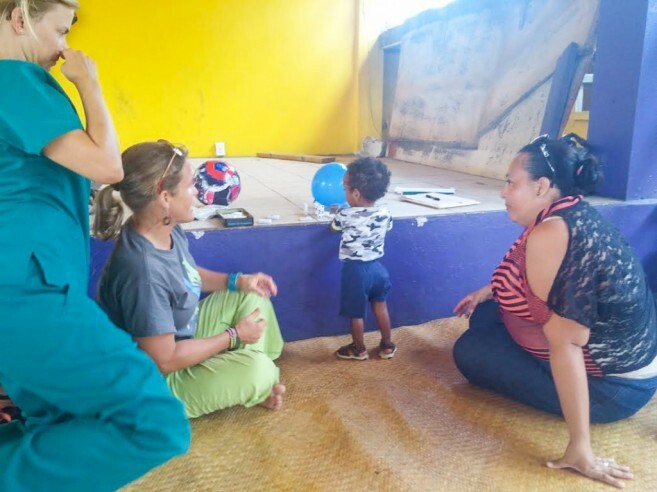 Under the guidance and instruction from Dr. Renae Sersland, and the Ministry of Health, the group will assist the polyclinic with general maternity and infant/child care. In an effort to continue the advancement of the university’s human resources, Arcadia is committed to developing those resources for professional advancement. They wish to educate the working community on how to understand, lead, and supervise, as it helps a person become a better employee. Many of the topics that will be discussed in their seminars include: effective communication, listening skills, problem solving skills, organizational skills, team building skills, and managerial skills. As August approaches, Arcadia will be issuing press releases each week to inform the public on their positive global initiative. If you would like to sign up for a course or need additional information, please contact Lara Goldman at 670-5272.